Is Pain Management A Specialty? Home » Health » Is Pain Management A Specialty? Pain management doctors specialize in the branch of medicine which helps in reducing pain. There is pain management for a number of conditions like sciatica, neuropathic pain, post-operative pain and many more. Pain management is a specialty where the doctors evaluate and treat the pain in people who suffer chronically or who are having a hard time recovering from an accident or surgery. Usually, practitioners recommend consulting pain management doctors if the pain of the patient goes beyond control. Doctors who specialize in pain management identify the problem and approach it from various directions. To qualify as a pain management specialist, the healthcare practitioner must be a medical doctor who has the authority to write prescriptions and who specializes in physical rehabilitation, anesthesiology and neurology. Pain management treatments are classified into various categories based on the severity of the patient’s pain. Treatment varies from one part of the body to the other. Healthcare providers who treat and manage pain are categorized into spine surgeons, neurosurgeons, rheumatologist, orthopedists, therapists, anesthesiologist and physiatrists. 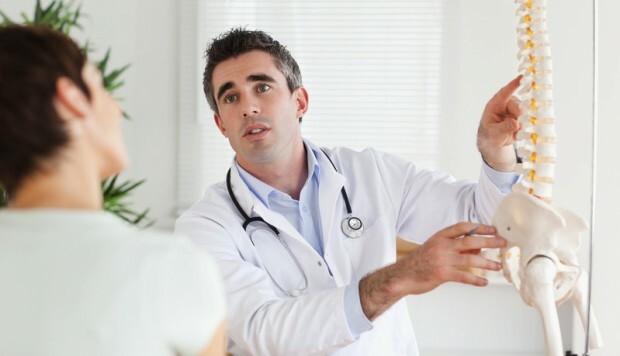 Pain management doctors who are specialized in any of the above disciplines treat a variety of muscle and joint related problems as well as diseases that cause chronic pain. A physician who is trained in pain management will have years of hands-on experience. They make use of different techniques and therapies to manage pain. Some treatments take more time, while some take less time and show positive results within few days of the treatment. A pain management expert will have a broad experience to evaluate and treat different types of pain. Pain can affect anybody no matter the age or gender. Pain is usually classified into mild, severe and chronic. Sometimes, prolonged treatment may be required to manage pain. One can find numerous pain management specialists who prescribe different kinds of treatments to relieve pain. Some of the common pain relief treatments that are prescribed by pain management specialists include – medication, regular exercise, phototherapy, injections, manual techniques, radio frequency ablation and many more. Pain management specialists are usually seen by referral from a general physician. Sometimes, patients are recommended to have cognitive and behavioral therapies so that they become capable of dealing with their pain on their own. The tolerance level and support of the patient plays a very important role in treating pain. In most of the reputable clinics and healthcare centers, pain management specialists work in co-ordination with other professionals. Based on the cause of the pain, an individualized treatment program is outlined. There are a number of benefits of specialization in pain management. The primary benefit is that the pain management doctors will be able to diagnose the problem with ease and suggest suitable treatments. Pain management specialists can manage pain in such a way that it never comes back. Patients who undergo pain management treatments from any specialized person can be assured that their pain has been treated properly. Pain is one of the most common problems and is considered to be tricky. Only a pain management specialist can deal with it efficiently. Patients with chronic pain are highly advised to approach pain management specialists to get their pain relieved permanently.